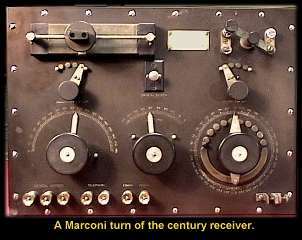 The museum has a special exhibit dedicated to Marconi. 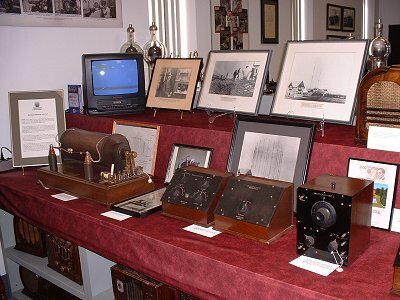 The exhibit includes a video on Marconi, brochure detailing the story behind the event, artefacts manufactured by Canadian Marconi Company, photographs and magazine articles. In May of 1898 a 24 year old man by the name of GUGLIELMO MARCONI registered Patent 7777 since which the world of radio communications has not looked back. This breakthrough added tuning circuits to guarantee the independence of simultaneous communications between more than one station. 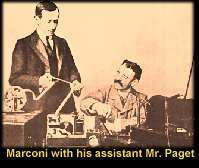 On November 26, 1901 MARCONI with his two assistants PAGET and KEMPT embarked in Liverpool for St. John's where they built another radio station. Marconi bought out the complete inventory of Peto and Radford English storage batteries from John Millen and Son in Montreal and had them shipped to Glace Bay. A few days later on on December 12th 1901 around 12.30, local time, MARCONI received three weak signals, 'dit' 'dit' 'dit' corresponding to letter S in MORSE code. For the first time in the world electromagnetic waves had crossed an ocean and the rest is history which has been perfectly restored at the Hammond Museum of Radio. 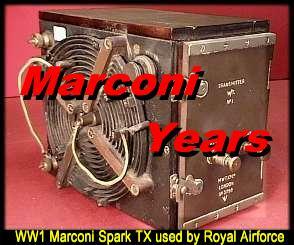 This Marconi 10 inch spark transmitter was built and used at the turn of the century and is identical to the transmitter used on the Titanic to send the first SOS. 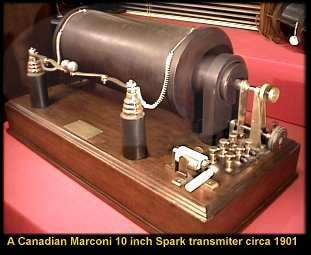 Matching receivers of the era would have been this Canadian Marconi crystal detector model that depicts the impress and robust construction of the time. The crystal selection switch is visible at the top right. If one of the crystal connections became unstable the operator could quickly switch to hopefully a more stable piece of raw quartz wedged into the four machined retaining slots. These Marconi radios where similar to those used aboard the Titanic on it's fateful Atlantic crossing and were recreated by the production company using Styrofoam for use in the the Titanic's Radio Room. 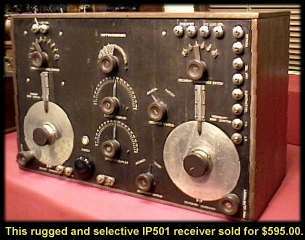 Other manufacturers were quick to licence Marconi's technology. One of the high end commercial receivers of the time was the IP501 pictured here in almost factory new condition. For improved performance, this receiver featured an input for an external detector. Period advertisements for this beauty indicated the 501's weight was 87 pounds and carried a retail price for $595.00 which equalled the cost of two new family sedans.